Last saturday was time to make an other surprise breakfast for my girls. 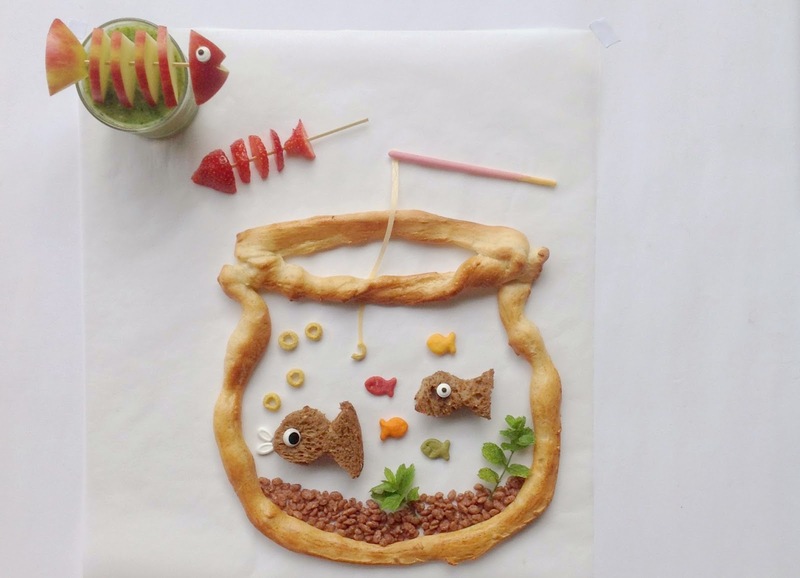 This time I wantedto make a fish themed breakfast, a fish bowl breakfast. This one was fun to make, I found the cute little fish in a Los Angeles supermarket and made the fish bowl out of ready made bread dough I bought in the supermarket. You have some lucky girls. This is so CUTE! oh, die vis fruitstokjes zijn leuk! !